As the leader of Britains Arts & Crafts movement in the 19th century, William Morris designed everything from textiles to interiors. He was famed for his nature-inspired wallpapers and fabrics featuring fruit, flowers, leaves and wildlife, which are still produced today by Morris & Co, the company he began in 1861. As proof of their timeless quality, six prints from Morriss archive have been adapted for a new fashion collection by H&M. 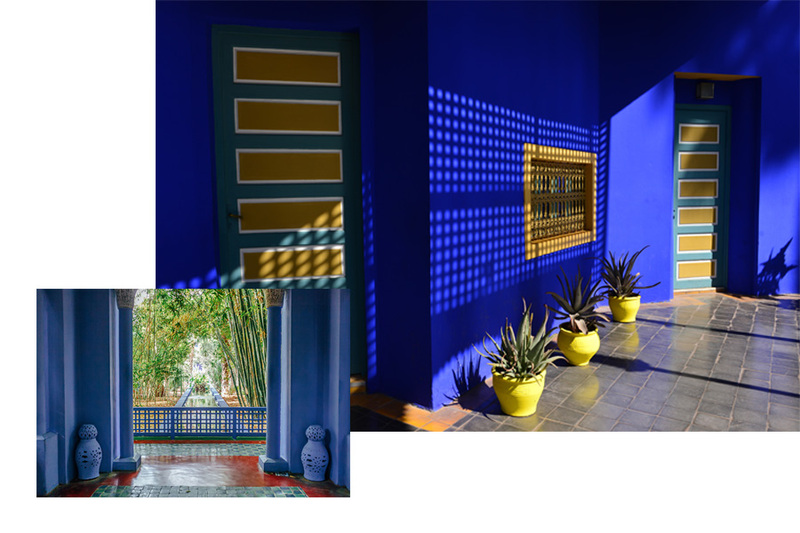 The collaboration is just one example of how fashion and interiors have intersected over the decades. Though they were intended for the home, William Morriss prints also work beautifully on clothing, chiming perfectly with the trend for bold botanical patterns. Morris was one of the most talented pattern-makers in history and he was incredibly forward-thinking, which is why his designs are still relevant today, says Claire Vallis, creative director at Morris & Co. His prints have a youthful energy that translates wonderfully to fashion. 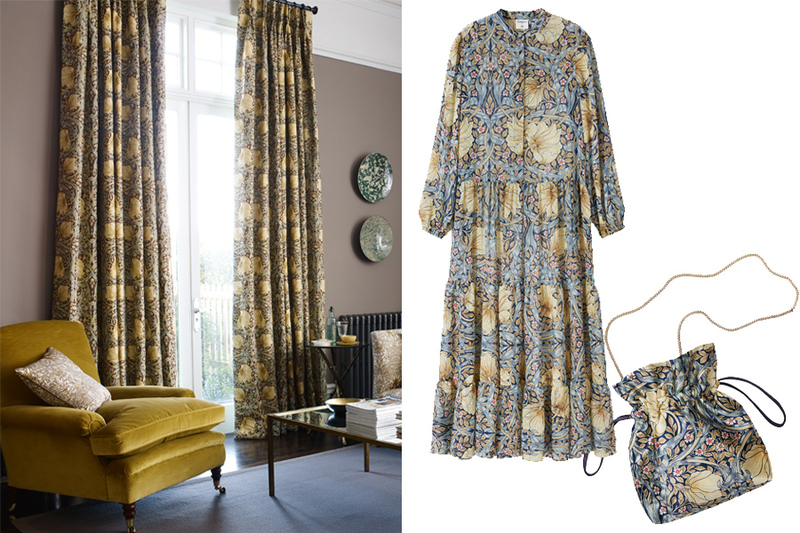 H&Ms new collection features the oversized floral Pimpernel, which hung on the walls of Morriss dining room at Kelmscott House in London, and the finely traced Lily Leaf and Marigold, designed as wallpapers and fabrics in the 1870s. Morris said “I do not want art for a few, any more than education for a few, or freedom for a few,” and this really speaks to what H&M is all about, says Pernilla Wohlfahrt, H&Ms design director. The prints have an air of heritage that modern fashion audiences will be intrigued by. Our goal is to surprise our customers. This decade has been under the spotlight in the design world recently. Most notably, the style of 1980s Italian collective Memphis, with its bright colours, graphic patterns and blocky shapes, has prompted a new wave of furniture and textiles. 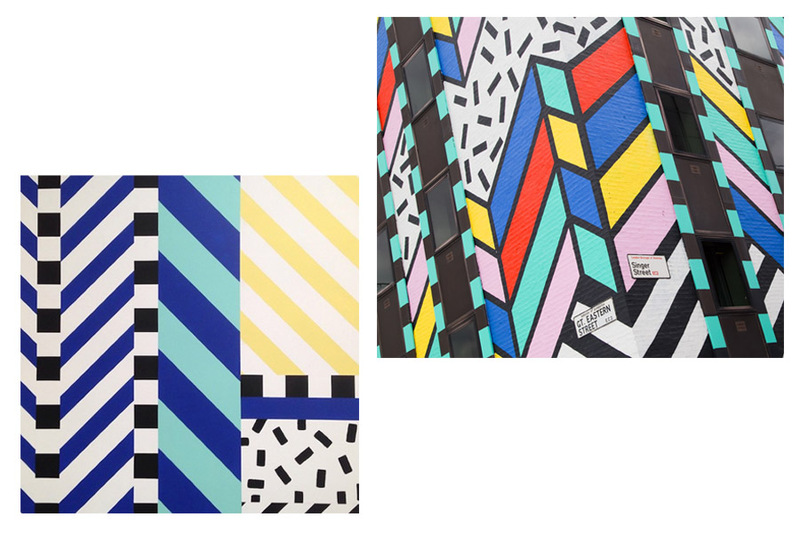 British designers Camille Walala and Bethan Laura Wood are at the forefront of this trend and for AW18, the influence is also felt on the catwalk, with power shoulders, puffball skirts and voluminous silhouettes. Its a prime example of design trends influencing what we wear. As if to demonstrate the strengthening links between fashion and the home, the AW18 catwalks were crowded with blankets worn as capes and coats. Wrapped casually around shoulders or cinched with statement belts, theyre a relaxed form of winter dressing that clearly draws on the trend for luxe loungewear and a layered approach to home furnishings. 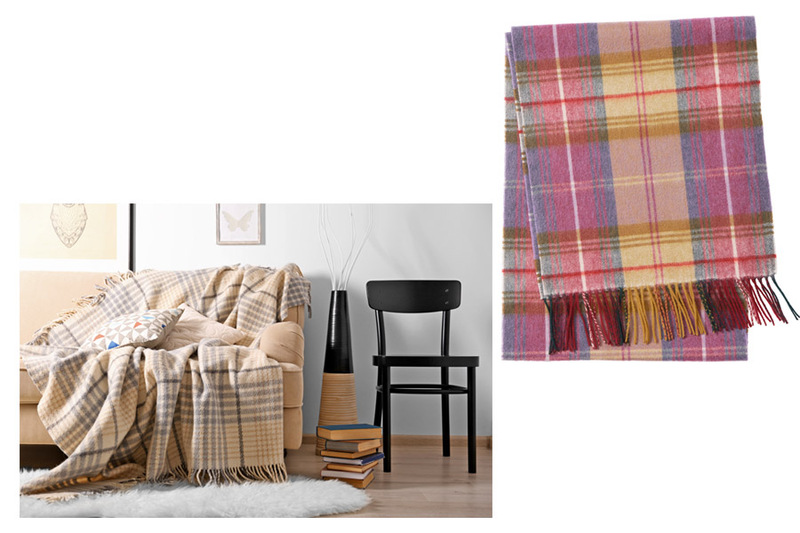 Home décor and fashion live side by side nowadays, says Wohlfahrt. In my job Im continually seeing prints that tell a story and add excitement to both your home and wardrobe. Its about expressing yourself and what you stand for, whether thats your sofa or your clothes. Over its long history, chintz has travelled freely between the home and the wardrobe, morphing from punchy 18th-century dress print to 1950s country-house floral. Chintz was originally produced in India from the 1600s to 1800s and was popular for bed covers, quilts and draperies, says textile expert Christopher Moore. It has been suggested that its use as clothing began when furnishings were replaced and given to maidservants, who made them into dresses. William Morris created his own take on chintz with his Snakeshead fabric (pictured above), which features in the H&M collection and was influenced by antique Indian textiles. Today, the legacy of chintz is visible in the colourful floral prints popular across fashion and design. Joyfully clashing patterns and colours are the look of the moment. Such maximalist style can be traced back to the Victorian era, when the painter Frederic, Lord Leighton decorated his Holland Park mansion with lavish global-inspired designs (its now the Leighton House Museum). In the 1970s, the look reappeared in Bibas iconic fashion campaigns, which featured a model lying on piles of ornate cushions, and Yves Saint Laurents Marrakech home, which echoed his safari-chic catwalk look of the time. 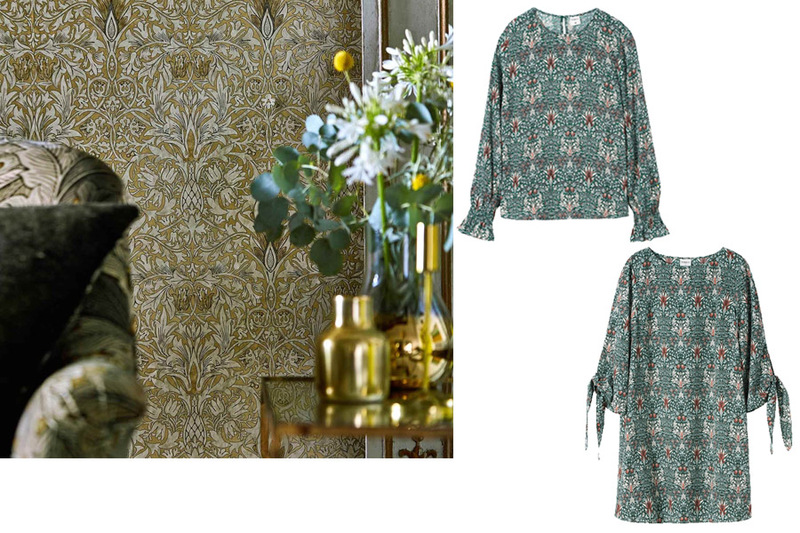 Today, such influences continue to be felt: Guccis latest fashion and homeware collections, for instance, are a riot of historical-inspired colours and patterns. In both fashion and interiors, people love a print with character, says Vallis.